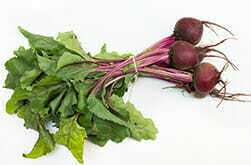 Oh, the fertility boosting properties of beets! 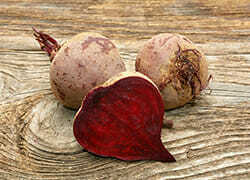 So what makes the beet such an intensely great fertility food? 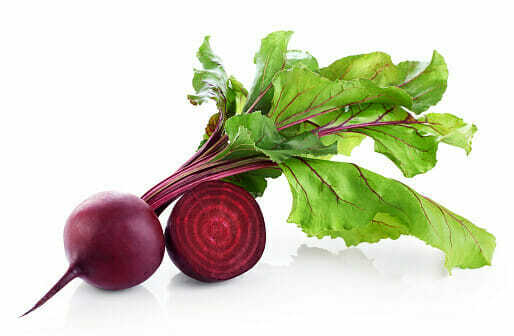 The high levels of iron make beets great blood builders. They help in the development of red blood cells. 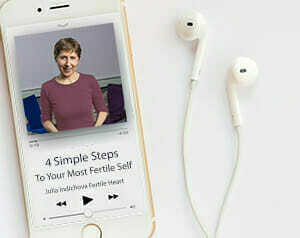 Red blood cells do the important work of transporting oxygen to all cells of the body which of course includes the reproductive tract. 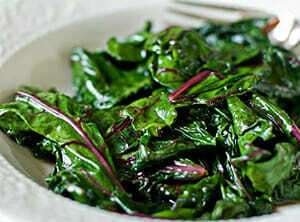 But don’t make the mistake of dismissing the fertility-packed power of the BEET GREENS. Are you ready? Beet Greens are chuck full of some key blood building nutrients such as iron, phosphorus, zinc, fiber, vitamin B6, magnesium, potassium, copper, and manganese. They also supply vitamin A, vitamin C, and Calcium all of which are essential for creating a hospitable place for the baby’s first nursery. And it’s a no-brainer that all of these fabulous properties of the mighty beet will continue to keep us strong and fertile as we continue on our perfect parenting journeys. 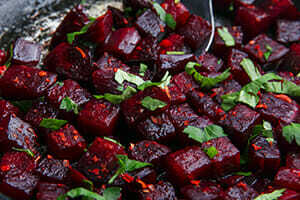 Peel and Cut Beets into 1/2 inch cubes. Roast on Tray at 350 degrees for 45 minutes. Uncover and add Cayenne and Soy Sauce or Tamari, stir and cover for another 1-3 minutes. Cooking time will vary depending on the quantity of Greens and the heat source.